A destination for thousands of opera lovers every year and the anchor of Santa Fe’s thriving arts scene, The Santa Fe Opera owes its existence to the vision and hard work of one man: John O’Hea Crosby (1926–2002), who created the company when he was only thirty years old and guided its fortunes for the next forty-five years. 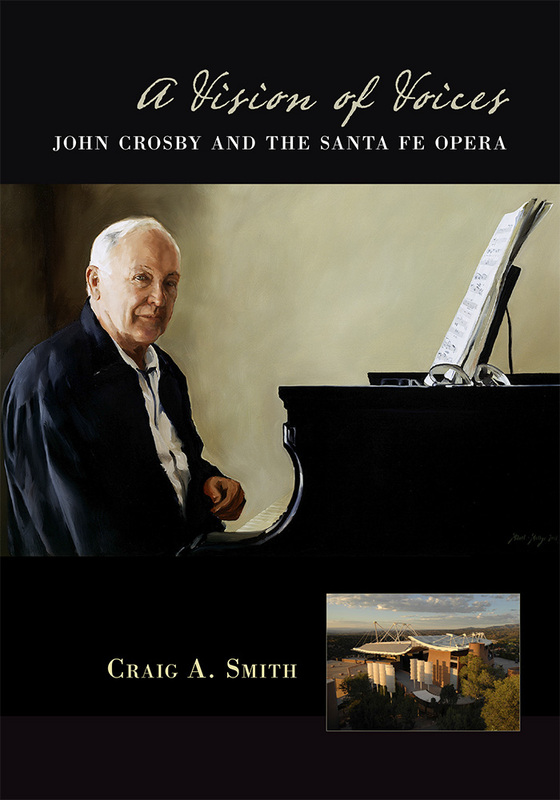 This book, the first in-depth exploration of Crosby’s career, shows how the Opera reflected his passions for music and the arts. A Vision of Voices depicts the many sides of Crosby—a dreamer and tough-minded businessman, an artistic explorer and conservative programmer, and a competent conductor and sharp critic. His devotion to quality and his obsessive oversight bore an enduring harvest that forever changed Santa Fe, the state of New Mexico, and the operatic world. Craig A. Smith was an arts writer for the Santa Fe New Mexican for twenty years and has written about music for many other publications.